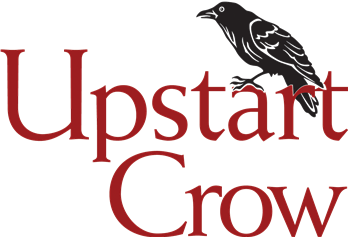 Upstart Crow Studios Children's Theatre will admit students of any race, color, gender, national and ethnic origin to the rights, privileges, programs, and activities generally accorded or made available to students at the studios. It does not discriminate on the basis of race, color, gender, national and ethnic origin in administration of its educational policies, admissions policies, scholarship programs, and other school-administered programs. Access to restrooms that correspond to gender identity is available. A person shall not be required to use a restroom that is incongruent with their gender identity. Single-stall bathrooms are available on site. Upstart Crow Studios Children's Theatre believes every child must develop a deep sense of self-worth to become a critical thinker and to understand the value of teamwork, as essential life skills. Our policy is that every child plays a role, regardless of the challenges they may face. Please let us know if you would like to sit in on a class before registering. Tuition prices vary per class, production, workshop or camp. Tuition payment is due at the time of registration. Tuition for classes, productions, and camps must be paid in full by the 1st day of rehearsal or an Installment Plan Contract must be signed (see information on installment plans below). If you choose to withdraw after classes begin within the first two weeks, 25% of your tuition is non-refundable. After two weeks, the full amount of tuition is non-refundable. You are responsible for all tuition and fees associated with your student upon registration. Prospective students can try a class with no obligation. Registration for our classes, productions, workshops, and camps is online on our website. All families must have one online account per student for registration and payments. The parent/guardian who registers the student is the guarantor on the account. Account information will only be shared with the parent listed on the account. If internet access is a barrier to the registration process, please contact our office for assistance. Upon registering your student you will have the option to pay in full or pay a deposit and then a final payment due by a certain date unless special arrangements have been made and an installment plan contract has been signed. Payments can also be taken in person in the Upstart Crow Studios office. STAGE DOOR: Non-refundable registration fee is $125 is due in August, then will pay monthly fees for September thru June. Members will also receive a 20% discount for the season (September 1 thru August 31) on all non-Stage Door classes, productions, workshops, and tickets for shows in the Crow’s Nest Theater. STAGE DOOR CANCELLATION POLICY: There are no refunds. You must bring your account current if withdrawing your Stage Door member early. We require 30 days notice to withdraw from Stage Door. SIBLINGS: The sibling discount only applies to siblings enrolling together in the same class, production, workshop, or camp. The sibling discount is 20% for each additional sibling at the time of registration. Discounts cannot be stacked or combined. Students are only eligible for one discount rate listed above. Classes, productions, workshops, and camps are subject to cancellation if enrollment is below prescribed minimums. If we cancel due to low enrollment or for any other reason, we will refund 100% of the tuition paid. You will be contacted with an alternative class option, offered a credit to your account, or a tuition refund. Refunds other than credit are made by check. If it is necessary for us to cancel a class session due to instructor illness, inclement weather, or other unavoidable circumstances, we will offer a make-up class at an alternate time. If you notify us that your child is withdrawing from a class, production, workshop or camp before classes or rehearsals begin, your tuition is refundable, less a $25 deposit. If you choose to withdraw after classes begin within the first two weeks, 25% of your tuition is non-refundable. After two weeks, the full amount of tuition is non-refundable. Please contact our office by phone or email if your child is unable to attend class. We do not prorate tuition if a student misses a class. Volunteers are an essential component of what we do. Parents or family members are asked to commit to at least 8 hours per show. During shows, we often need volunteers for backstage crew. We try to limit this so you can have one night in the audience. We are a non-profit with at least a third of our children on scholarship. The needs of each production cannot be met by tuition and ticket sales alone. If you are unable to help through volunteering you may buy out your volunteer hours at the rate of $15 per hour. In consideration of the right to participate in this activity, I release any and all claims for damages and losses suffered by me or my minor child as a result of said participation against Upstart Crow Studios, and agents thereof. I further understand there are risks inherent in this activity and agree to assume those risks on my behalf or on the behalf of my minor child and to hold harmless Upstart Crow Studios and its agents. This release is to be signed upon registration (online or in writing). I understand that candid photos and posed photos of my child taken during class or performances may be used for promotional purposes by Upstart Crow Studios Children's Theatre only. This release is to be signed upon registration (online or in writing).